The geometric motif for this tunic is worked in phulkari embroidery. 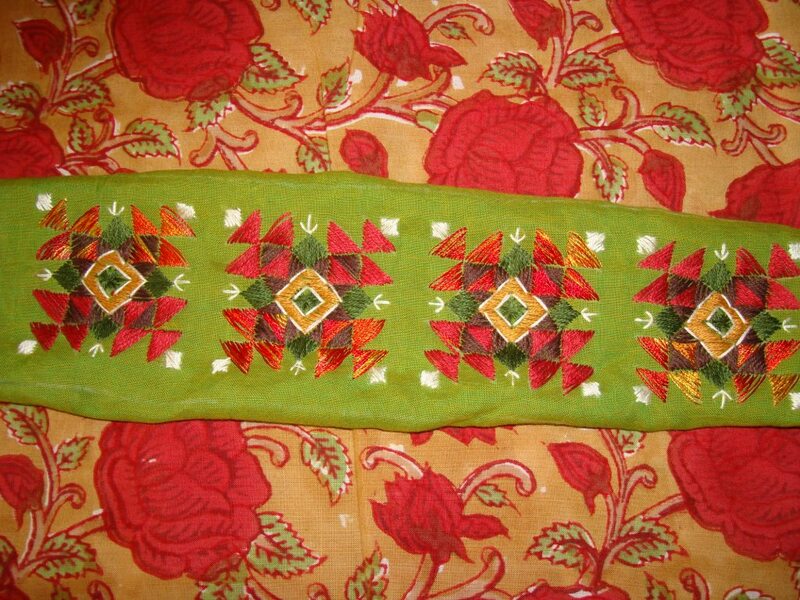 This embroidery is part of ethnic Indian embroideries.it is done in Punjab part of India and Pakistan too. In those parts the whole fabric is covered with embroidery. 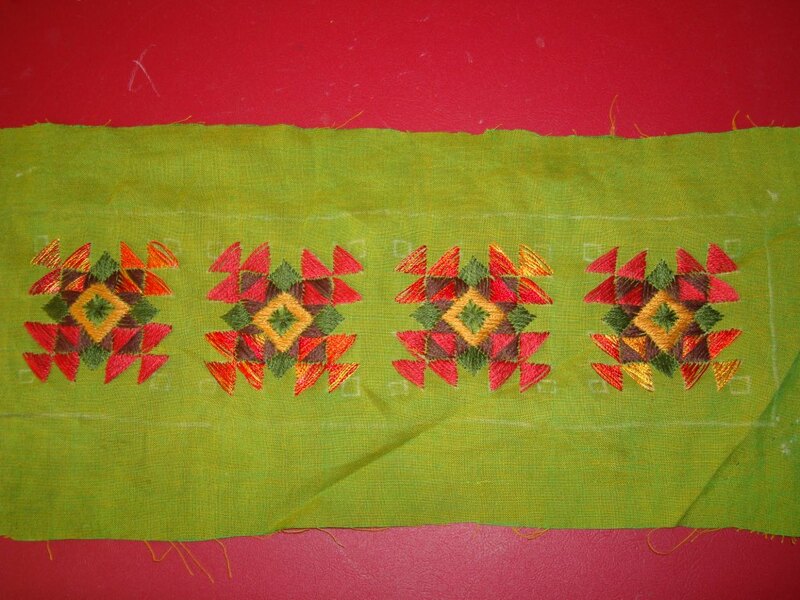 But I have chosen to work this embroidery on a square motif for this yoke space. 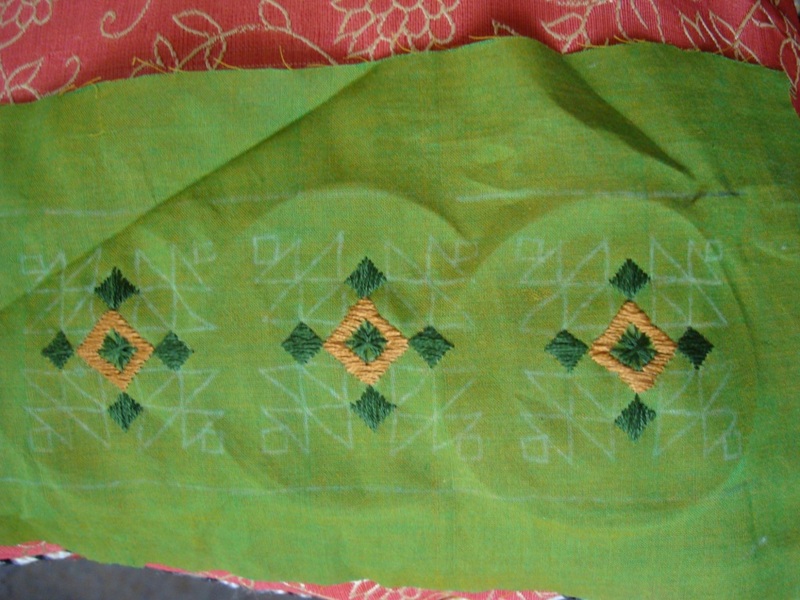 Two strands of skeins are used for this embroidery. 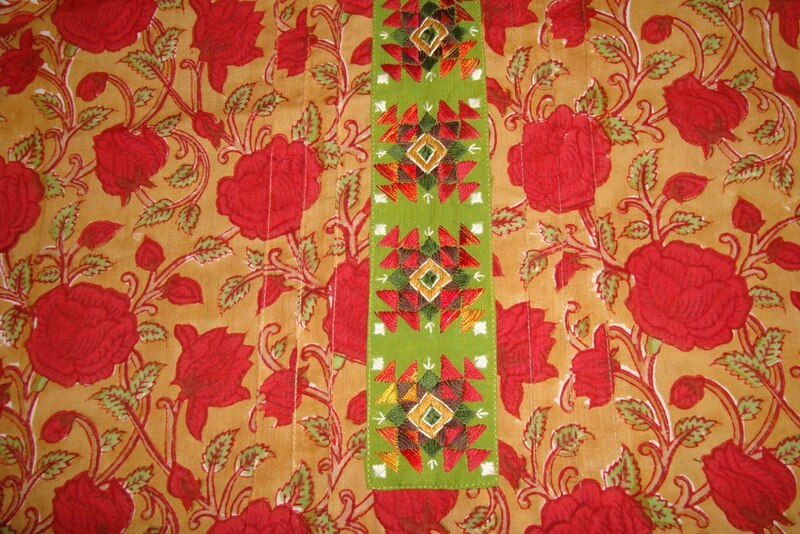 This tunic fabric is block printed with florals in cotton. This type of light cottons are ideal for hot climates, and suitable for casual wear, with these prints. the base colour of this tunic is yellow/brown. The flowers were on shades of red. 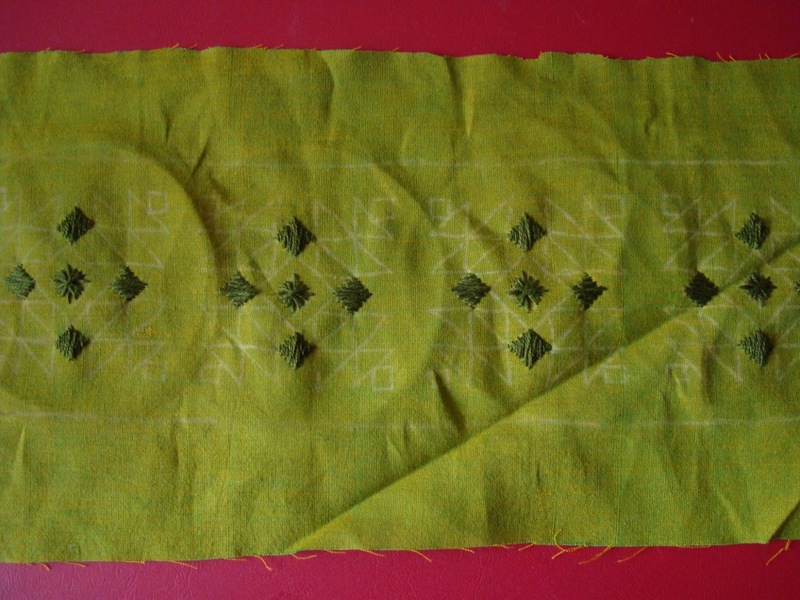 The yoke fabric chosen for this tunic was green/yellow. 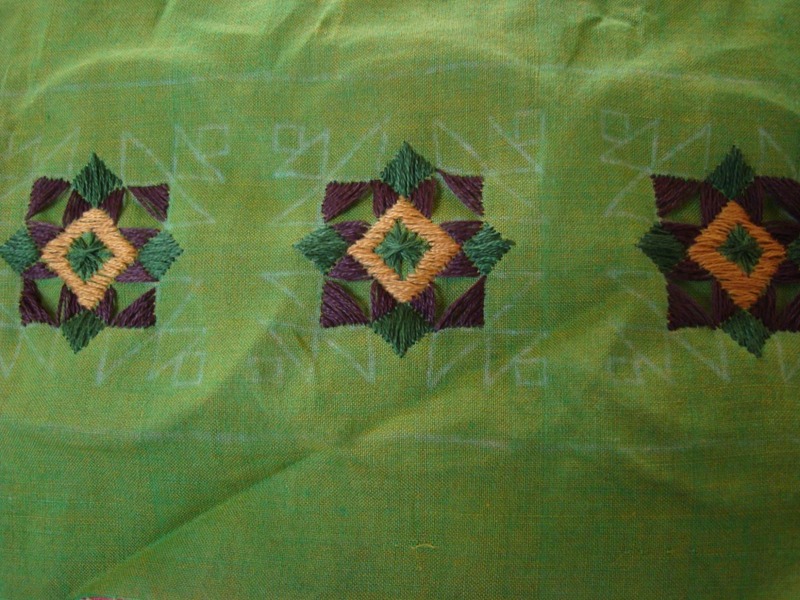 Four repeating geometric motifs was the pattern to be embroidered. This is a small yoke. the colours used were, green, yellow, variegated red and white. The variegated red thread was silk and others were cotton skeins. 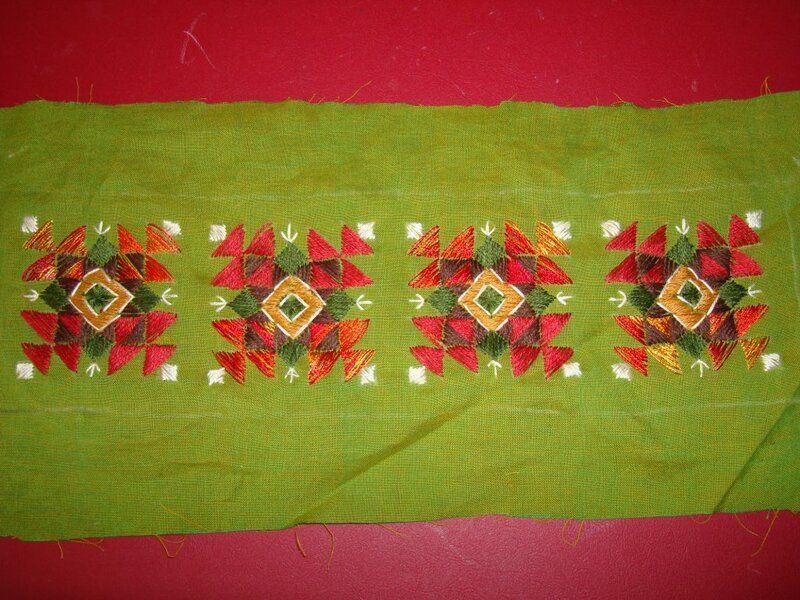 The embroidery stitches were, surface satin stitch, Rhodes stitch for the centre, and straight stitches.